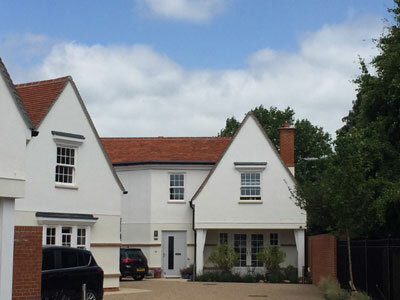 This project was completed in 2016 using 21,000 Heritage Tiles best quality Clayhall reds. The Clayhall range has been carefully designed with a continuous nib feature which lends itself to design flexibility in main roof and vertical situations. The tiles were chosen and approved by the local authorities for this prestigious new build project within the historic town of Chichester. The quality of the tiles and their aesthetic appearance compliments surrounding properties which have had clay tiles on for many years. 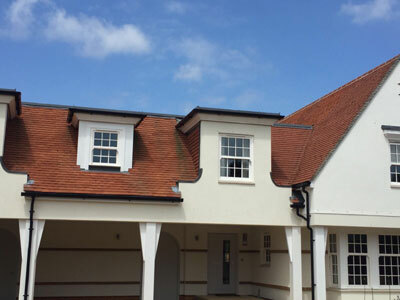 This mews style development within the heart of Chichester offers the appearance of weathered roofing whilst being less than 12 months from completion. The Clayhall Red roof tiles used have a 50 year guarantee. At Heritage Tiles we offer a complimentary tile match service along with samples and advice of each specific project, no matter what size.